This Schubert upright piano has been brought to Atlanta for restoration. 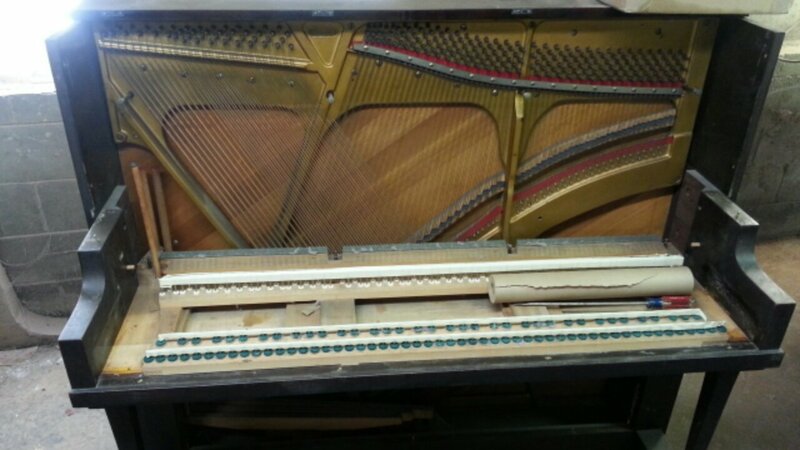 This all original piano will receive a new finish and new strings. The owner wishes for it to be restored back to its original as new color so will will strip the old finish off and see what’s underneath then match with a stain that will get us the original as new color. More pictures/video will be added as we are underway with the restoration.